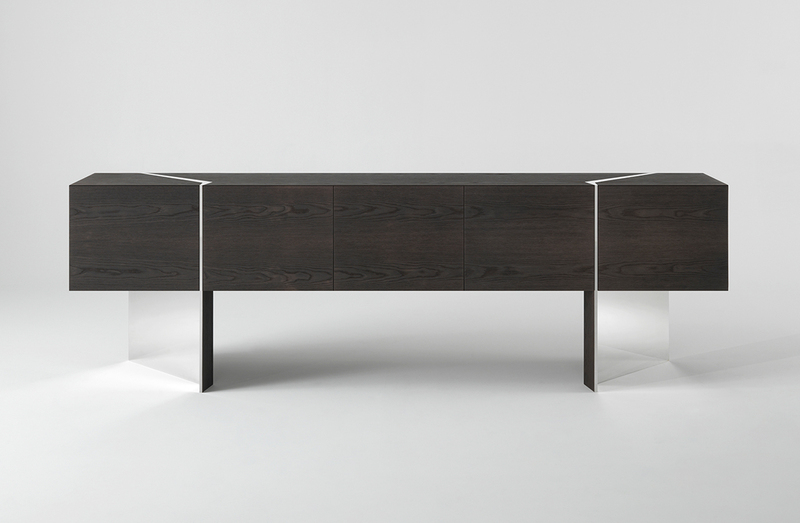 Low sideboard with structure in oak, bog oak, thermo-treated oak or walnut wood. Angled legs have optional brass detailing. Available to order in a choice of threes sizes. Structure in: Oak in natural, stained, or open pore lacquer. Thermo-treated oak in light or dark tint. Bog oak. Or Walnut wood. Legs in: Wood to match above, or clad in brass in natural satin, burnished hand-brushed, or silver-plated finish.